Product: H&M Bathrobes recalled due to Flammability Hazard. Issue: These bathrobes do not meet the flammability requirements for children's sleepwear under Canadian law. What to do: Stop using the recalled bathrobes and contact H&M Customer Service Center. Joint recall with Health Canada, the United States Consumer Product Safety Commission (US CPSC) and H&M Hennes & Mauritz L.P. 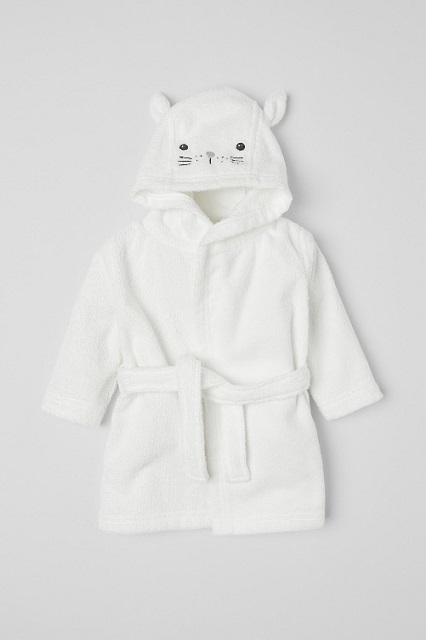 This recall involves the H&M Hooded and Terry Bathrobes sold in sizes 2-6 months through 3-4 years. 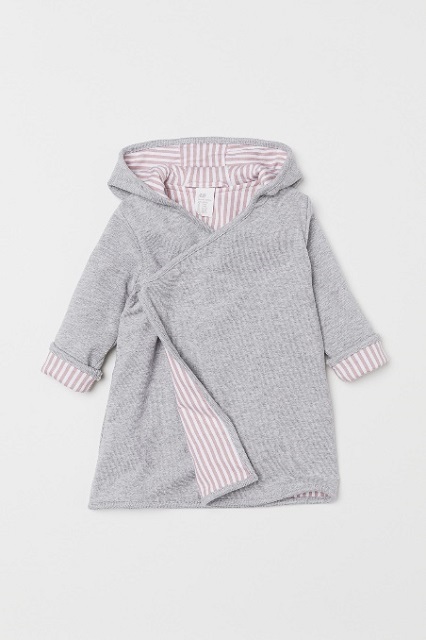 The hooded bathrobes are grey with blue and white striping on the inside or pink and white striping on the inside. The terry bathrobes are white with a cat design on the hood. As of April 8, 2019, the company has received no report of incidents in Canada or the United States. Approximately 56 units of the hooded bathrobe and 4 units of the terry bathrobe were sold in Canada. Approximately 220 units of the hooded bathrobe and 8 units of the terry bathrobe were sold in the United States. The recalled products were sold exclusively online at hm.com. 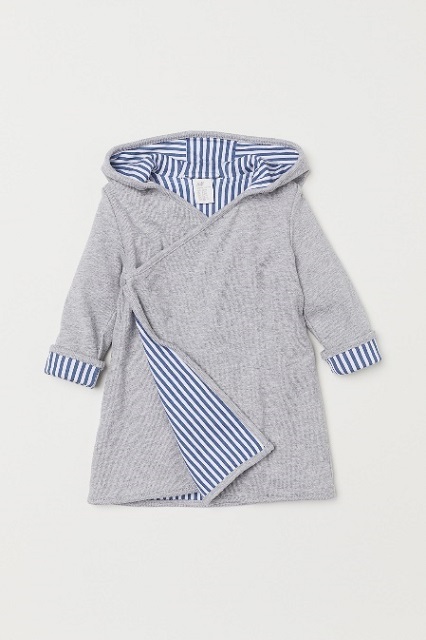 The hooded bathrobe was sold from October 2018 to March 2019 and the terry bathrobe was sold from January 2019 to March 2019. H&M Hennes & Mauritz L.P.
Consumers should immediately stop using the recalled bathrobes and contact H&M Customer Service Center. For more information, consumers should contact H&M toll-free at 855-466-7467 or 855-HNM-SHOP, by email or by chat. H&M offers 24 hours a day, 7 days a week customer service.